The Precor EFX556i V4 Elliptical is a durable, Self-Powered Total-Body Elliptical Fitness Crosstrainer™ designed for heavy commercial use. The EFX556i V4 has durable 6-phase generator system with no contacting parts. 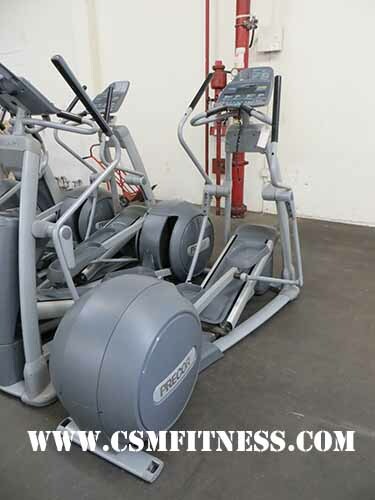 This system reduces friction and provides 20 levels to tailor workouts with consistent resistance. EFX556i V4 has a fixed ramp at 20° to provide optimal gluteal and hamstring involvement versus a flat ellipse.